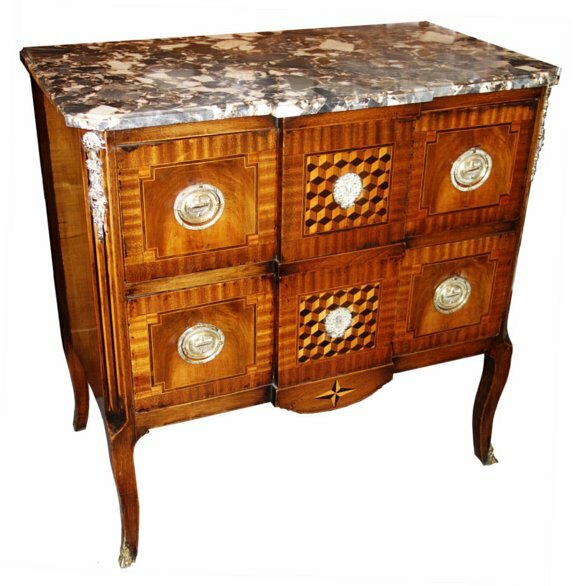 Tulip wood and kingwood parquetry inlaid drawers with brass hardware and gilt. Original marble top. H: 33" x W: 33 1/2 " x D: 19"